Yes, it’s a made up word. You won’t find it in any dictionary. As I type this, I am staring at the squiggly red line that let’s me know a word is misspelled on my computer. Worshiptainment is nowhere to be found in our American language, but it’s everywhere to be found in our American religion. Worship services have become so much about entertainment, that the purpose of serving God and remembering Christ is being lost among the upcoming generations. It’s not unusual to see signs that read “Band led services” or “Six Flags for Jesus.” Church services have become all about getting people in the door and keeping them entertained. 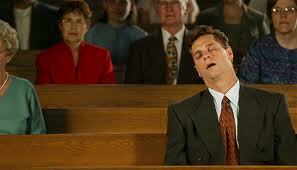 Preachers have started their own churches in efforts to put the spotlight on themselves and their own agendas. Mega churches are all the rage right now because they throw concerts and have fun activities for the kids. Is this what God wanted? Is this what the New Testament Christians did? Is this what the apostles established? There were no bands, no comedy clubs, no video games, no camel rides, no donuts and coffee, and no movie theaters. A worship service in the New Testament meant that a group of saved Christians were coming together to worship God and remember Christ. They used their voices, their hearts, and their minds to participate with everyone else. They didn’t need entertainment. They weren’t bored. They weren’t deciding between the “traditional service” and the “band-led service”. They weren’t looking at their watches wondering when the preacher would get down. They were simply worshiping God. Although they all had faults, they accepted each other because they were unified in Christ. “So that with one accord you may with one voice glorify the God and Father of our Lord Jesus Christ. Therefore, accept one another, just as Christ also accepts us to the glory of God” (Rom. 15:6-7). We are not here to partake in worshiptainment. We are here to honor and worship the King of Kings. We are here to be with God.